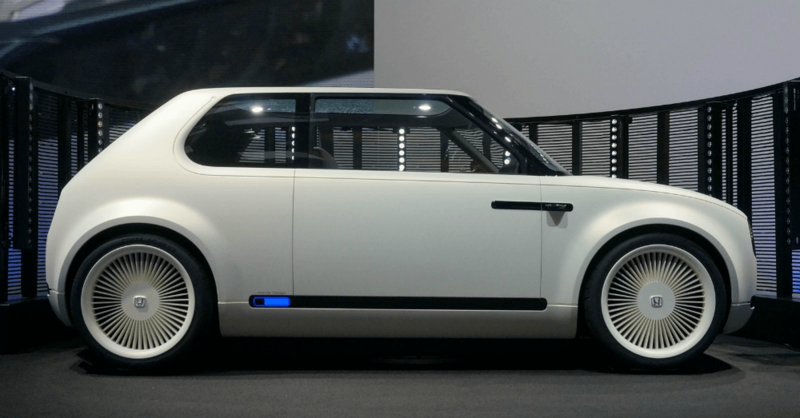 When the Geneva Motor Show is upon us this year we are going to see another excellent Honda EV concept model that will take things another step for the brand. Last year we saw the new Honda Urban EV and Honda Sports EV show up in concept form and now the team will give us another model that will give us the look and style that we want to enjoy during the drive in an excellent EV. The front end of this new model has been revealed and it appears to be nearly identical to the Urban EV and Sports EV. While there isn’t much that we can understand about the new EV model from Honda just yet, the renderings we’ve seen give us an idea of a sporty hatchback that will be a welcome addition to the mix. There’s a long item that appears to be inside just behind the windshield which is an indicator of a widescreen display that’s similar to the one in the Urban EV. This new concept also shows us a traditional seating configuration rather than the radical bench seat of the Urban EV. The new electric vehicle is developed with the focus on function for the target audience. The idea is to give the world a car that has clean, simple lines and a unique design that makes it easy for us to see what it can be. Because of the dynamic electronics offered by Honda, the items in the way of what you see and enjoy when you drive will be minimal compared to other models. This little car will be easy to enjoy when you take it for a drive because of the joyous look and roomy cargo area. The new Urban EV is already a small electric hatchback that we saw introduced last year, which means this new concept model might be heading toward something more. We could easily see this vehicle become the first EV crossover SUV offered by Honda to give us the drive and the qualities we want when it’s time to head out on the road. There might be plenty of ground clearance and if fitted with the right suspension, we might see a Honda EV that can head out on the trails and give us the fun we’re looking for in the outdoors. Right now, we only have a small amount of information to give you the idea of what this new Honda EV model will be and Honda could show up in Geneva with a car that looks completely different. For this reason, we’re already talking about this upcoming show and what Honda might have in store for us to take a look at and admire. Find a hybrid vehicle you like at a local Honda dealer today!